Nanays, it's the second half of 2015! How are doing with your goals and checklists for this year? Have you attended that ultimate workshop to rekindle your long lost passion for writing? Have you fulfilled your business targets or started a new one? Have you volunteered and participated in meaningful advocacy campaigns? Whatever your goals are, make sure to make the most out of the remaining months of 2015. Read on and pick the events that will fit in your 2015 goals and projects. Enjoy! 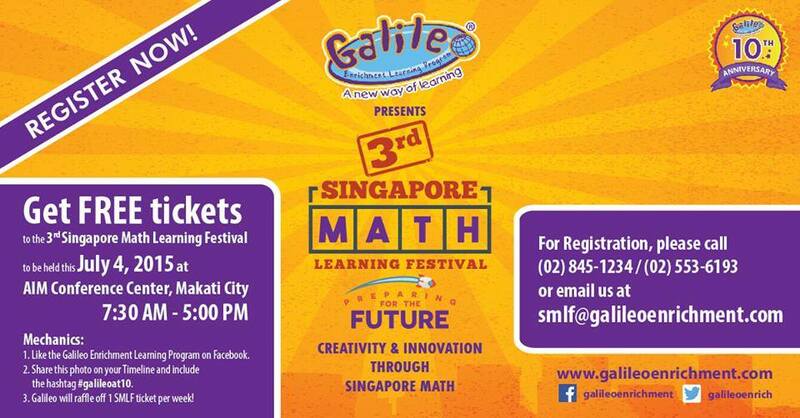 1) 3rd Singapore Math Learning Festival 2015, July 4, 2015, AIM Conference Center, 7:30 a.m. - 5:00 p.m. If you are interested in Singapore Math, this learning event is for you. I have attended several workshops on Singapore Math this year and I got interested to learn more about the different strategies I can use to make my son's Math journey more concrete, practical and fun. Who says you can't be creative in teaching numbers and their relationships? I am excited to listen to the speakers and learn from their rich experience in teaching Singapore Math in schools and even at home. See you there! Visit Galileo Enrichment Learning Program's Facebook Page for more updates and their website for more details. Don't forget to join their giveaway for a chance to win a free seat to this learning event. Good luck! 2. 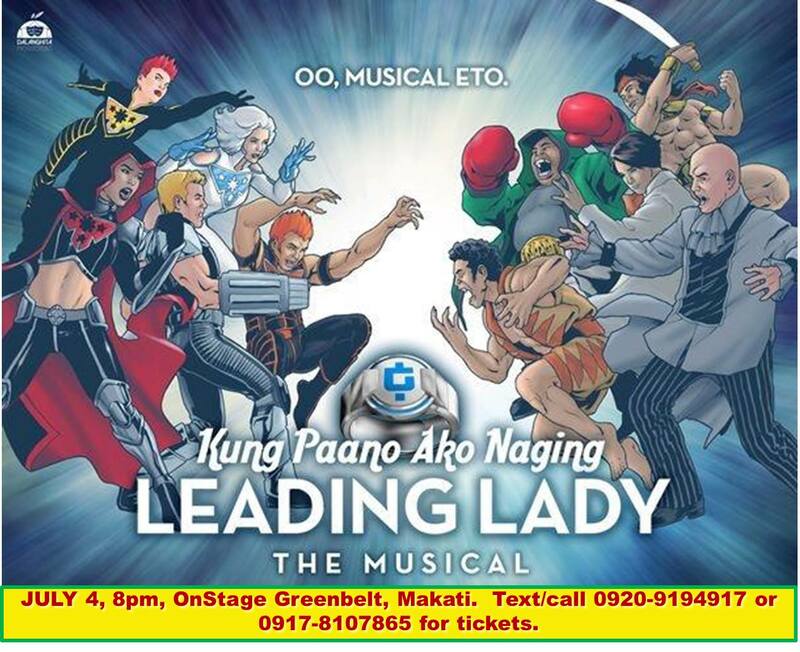 Kung Paano Ako Naging Leading Lady, an original Filipino musical, July 4, 2015, Onstage Greenbelt 1, 8:00 p.m.
My friend and I watched Rak of Aegis last week and we had so much fun! Rakenrol talaga! Filipino musicals make you feel proud of our artists' great talent, creativity and passion for music. The Rak of Aegis night I spent with my friend was a much needed break not only from work but also from the rehashed and predictable teleserye plots I am forced to watch every night with my mother at home. These musicals never fail to introduce very talented but "unknown" Filipino artists to the public. They are gems who are not given much deserved TV exposures or breaks in the entertainment industry. You can only catch them in Filipino musicals, theater plays or independent films. Bring along your husband, children or make this musical the ultimate barkada date this July. Read Lea Salonga's review and convince your loved ones to watch this great Filipino musical. Text or call 0920-9194917 or 0917-8107865 for tickets. See you there! 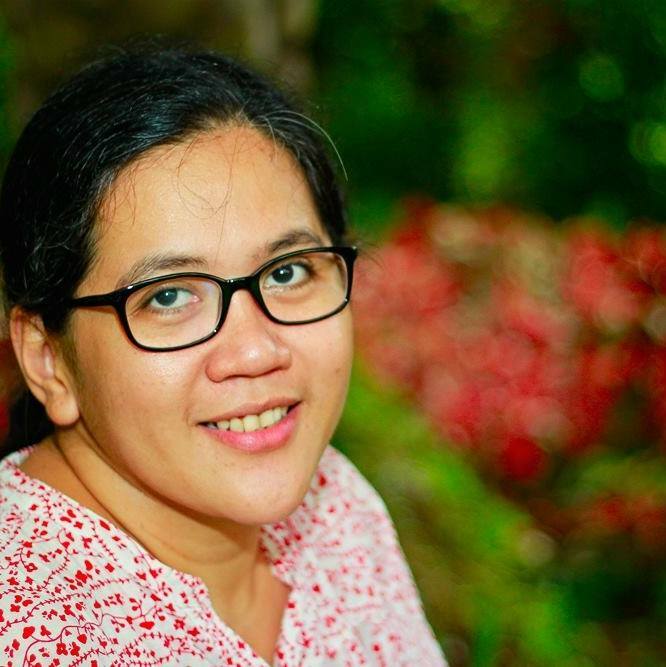 Mommy Que, ( you can find her in Instagram as @takbophchic) explained to me what makes RunFest 2015 more meaningful and special from the usual running events . Besides the standard event distances that runners can choose from ( 5K, 10K, 21K), you can also register for a 500 meter distance or "Walk for Wishes". All proceeds from this category will go to the Make-A-Wish Foundation Philippines. 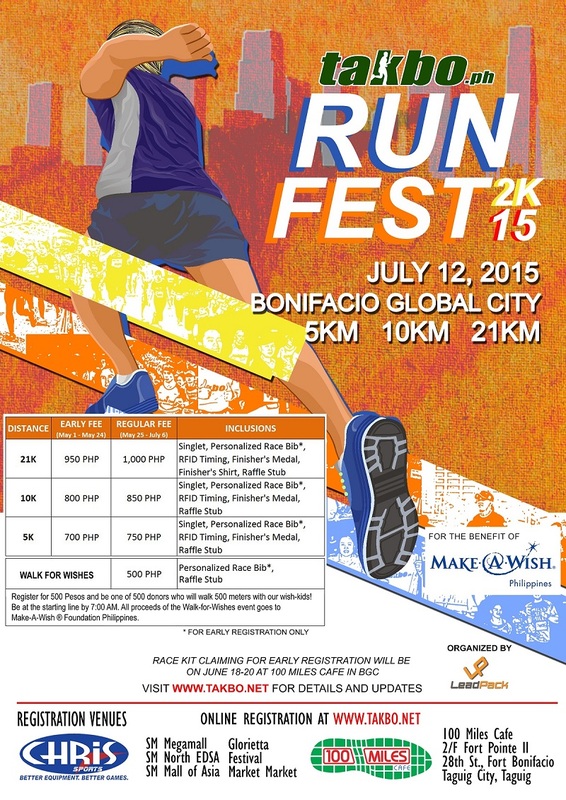 You can bring the whole family in this run for a cause event on July 12. For more details, please visit Takbo.ph website. 4. March Against Contractualization, July 13, 2015, Recto to Mendiola, Manila , 8:30 a.m. 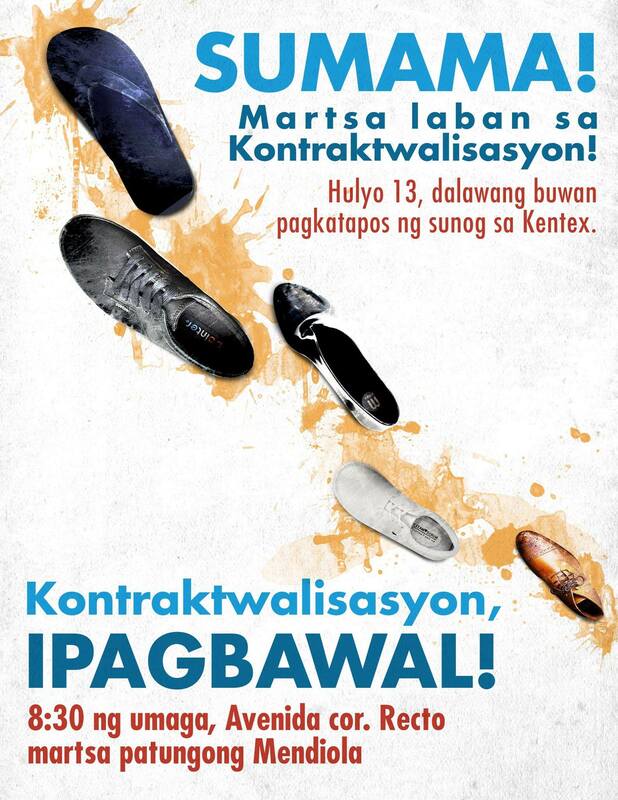 The families of victims, survivors and workers of Kentex will mark the 2nd month of the worst industrial fire in recent Philippine history by holding a march against contractualization on July 13. They will be joined by various workers' unions, organizations and labor rights advocates as they reiterate their calls for justice, safe working conditions and regular work. Last June 22, GMA Network talents represented by their organization Talents Association of GMA-7 (TAG), won the labor case they filed against the giant media outfit. The National Labor Relations Commission (NLRC) declared the 107 talents as regular employees of GMA Network, Inc. TAG's fight against contractualization is an inspiration for the millions of contractual workers in both the public and private sector to continue their campaign for regular and secure jobs. Read the testimonies and stories of the GMA talents and their fight for regularization in their blog Buhay Media. You can also read the full text of the NLRC decision on their case here. You can also watch "Bayan ng mga Kontraktuwal", a video documentary by the Pinoy Media Center to find the answer to this question : "May pag-asa nga bang maging regular ang mga kontraktuwal na manggagawa?" For more information about the plight and campaign of the Kentex workers, please visit, like and share the Justice for Kentex Workers Facebook page. 5. 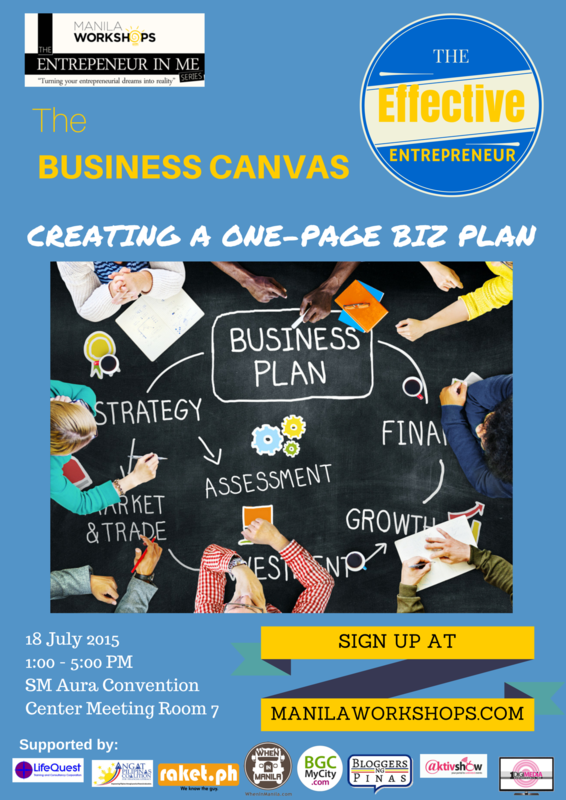 Manila Workshops' The Business Canvas : Creating a One-Page Biz Plan, July 18, 2015, SM Aura Convention, Center Meeting Room 7, 1:00 p.m. - 5:00 p.m. Turn your business idea into a concrete, solid and feasible business model. Be guided by experienced entrepreneurs who are willing to share valuable tips in creating a well-designed business canvas. One of the workshop’s objectives is to help the participants prepare a one-page business plan using the business canvas. So if you have a business idea which has been bugging your mind for some time, grab this opportunity to finally act and take the first crucial step towards your business goals. Register here and please type NTNDLBIZCANVAS1 in the Referrer Code so they would know that you heard about the workshop here in our little nanay’s tambayan. Thanks! 6. 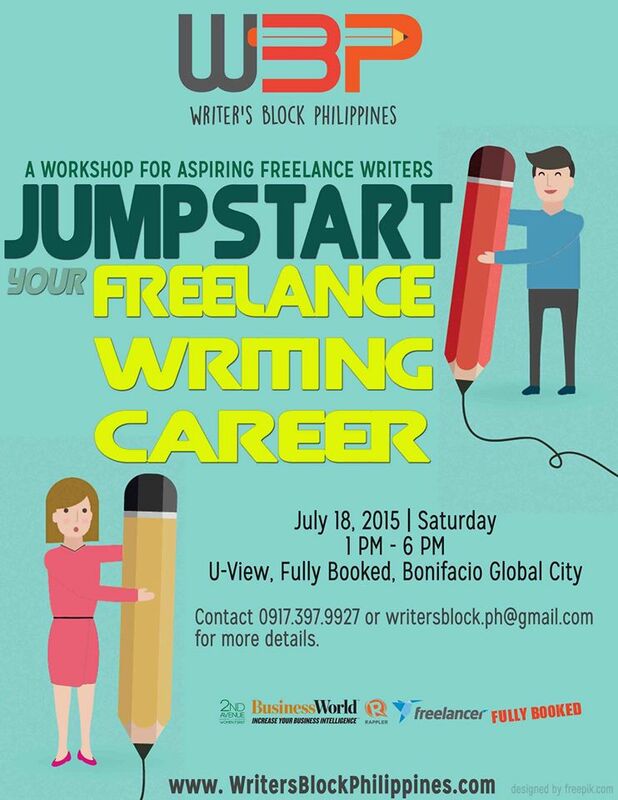 Writer's Block Philippines, Jumpstart Your Freelance Writing Career, July 18, 2015, U-View Fullybooked, Bonifacio Global City, 1:00 p.m. - 6:00 p.m. I have heard a lot of good reviews about the workshops organized by the Writer's Block Philippines. They discuss relevant topics and the participants go home satisfied and loaded with useful and practical tips from the speakers. "Jumpstart your Freelance Writing Career", is a workshop for aspiring writers and anyone who wants to pursue a career as a creative entrepreneur. Be inspired and get practical tips from the experts in freelance work. Mr. Evan Tan, the Regional Director for Southeast Asia of Freelance.com will be the workshop's guest speaker. Read more details about the workshop here and click here to register online. 7. Philippine Children's Book Summit. 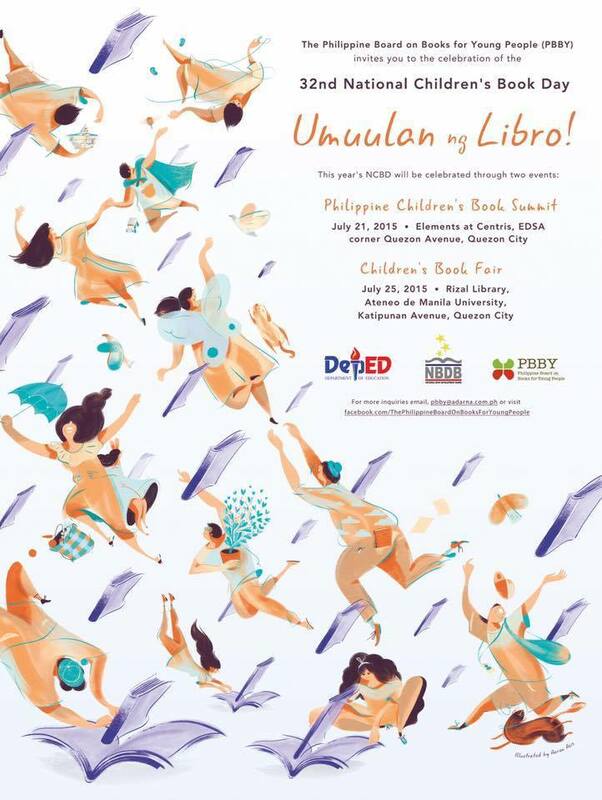 "Umuulan ng Libro", July 21, 2015, Elements at Centris EDSA, Quezon City, 8:30 a.m. - 5:00 p.m.
Be part of this literary summit and listen to authors, illustrators, librarians as they share their knowledge about the important aspects of children's literature. Parents who want to nurture their children's love for reading and teach them appreciate Filipino children's literature, this workshop will definitely help you achieve these goals. Read more about the summit at the Adarna House Blog and drop by the event's Facebook page. Nanays, pick the events you find most interesting and please share it in the comments section below. If we bump into each other in one of these events, please say hi and it will definitely be fun to be seatmates, groupmates or marching/running buddies. Kitakits! Hope to see you and join you in one of the events here! I'd definitely go to the book event! Thanks for sharing this, I am actually on the lookout for book events! Me too! We can also set our mommy date this July! Exciting! I hope I can attend that event too. The speakers who will facilitate the learning sessions are all great. Enjoy and have fun learning!